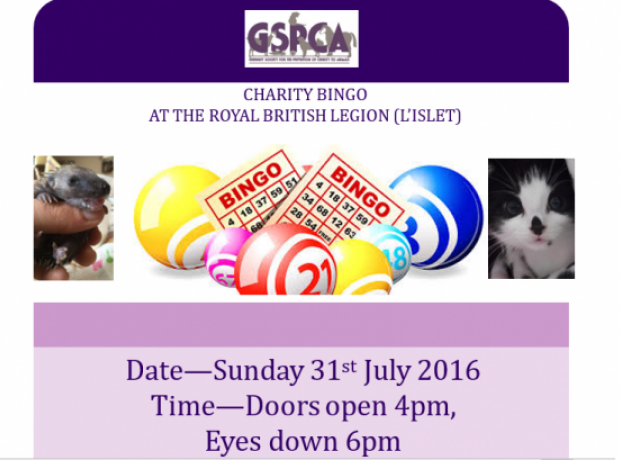 On Sunday a packed room at L'Islet Royal British Legion enjoyed a night of bingo raising funds for the GSPCA. With over 20 games of bingo and cash prizes in three figures, over 180 raffle prizes to win and other games there were many winners with the many supporters. The GSPCA are hugely grateful to everyone involved and especially to Carol and Maureen and many of the other ladies and callers that helped organise and run what was a very successful evening raising over £1000 for the animals at the GSPCA.